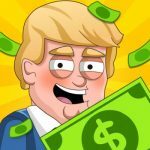 Five years passed since Cookie Clicker arrived and jumpstarted the clicker video game genre and today clicker games are quite popular on mobile platforms. The latest one to arrive is called Super Idle Cats and it put you as the manager of, wait for it, fruit farm run by cats. It seems cats do like fruit, especially tomatoes since that’s the first one you get to grow. 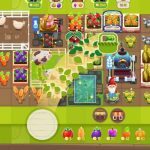 Like other similar games the more you click the more fruit your farm produces ergo the more profit you get. And as you get more money there are plenty of upgrades to be bought allowing for your farm to automatically grow without the need for manual clicking. No matter how much upgrades you have manual clicking options are always there to enable manual crop growth. And even though you can make automatic generation of new crops pretty damn fast via upgrades manual clicks will always make the production faster. Over time your farm will grow and new fruit types will be available. New fruits have higher selling prices but the higher the selling price the more money is needed for discovering and producing new crops. And every time you start producing a new and better fruit type your farm will reset with everything starting from a scratch. But since the new crop usually sells for way more money you will quickly reach the production level of your previous fruit and surpass it even quicker. This steady growth allows for new fruit types to be discovered ultimately unlocking new fruits such as banana and coconut. With two or more fruits growing at your cat farm starting the production of a new crop type won’t make you start from scratch because the second fruit will continue producing creating lots of money to get much-needed upgrades for a new crop. And that cycle is set on indefinitely, in the best vein of clicker games. You will grow new crop types and unlock new fruits either until you unlock them all or until you get bored, whichever comes first. As for the visuals, Super Idle Cats looks very cute with colorful farms and lots of cute cat workers tending to every part of your farm empire. Everything is super bright and saturated and so pretty it constantly asks you to stay in the game just a while longer. We played Super Idle Cats for about a week and managed to grow a huge and highly profitable farm gathering lots of useful tips along the way. Stay with us and find out how to create a huge clicking farm empire in Super Idle Cats. Since your whole farm restarts once you start farming a new crop it doesn’t make sense to keep growing current crop once you earn enough money to unlock the next one. Firstly, you will lose all the money once a new farm is established meaning that all that extra profit will be wiped as soon as you unlock the next fruit type. So, in order to save up time unlock the next crop as soon as you earn enough money for it. Secondly, you can try skipping one crop type and try earning enough money for the one coming after but, at least until you get some Infinity Seeds, they usually ask for lots of money you just can’t earn by growing the current crop. It is way better to unlock new fruit types gradually, one by one. 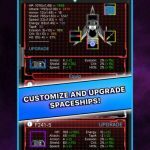 In Super Idle Cats there are loads of upgrades you can get that bring various bonuses such as higher selling price, faster growing, higher multipliers, increased crop capacities, and more. Instead of just selecting to buy as many upgrade levels as you can you should buy one upgrade at a time. During early game, while you still grow just tomatoes and before you achieve prestige and earn your first Infinity Seeds, the best course of action is to buy just one upgrade level. This way you will have money for various upgrades you need to get in order for your farm to have higher profits, you will be able to select different upgrade types – you can’t just spend all of your money on improving growth and then wait hours to earn enough money to get higher price upgrades – according to your immediate needs and will be able to better distribute resources. Once you prestige and get Infinity Seeds and after banana farm gets unlocked you can freely get max number of upgrades because your earnings will be much higher and you will have two sources of income. Super Idle Cats allows players to earn profit from their farms when not playing the game but unlike most other clicker games you farms will produce crops for just a couple of hours before halting production. 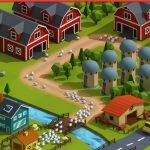 At the start, the farm will continue production for one hour after you exit the game meaning that, if you return after three hours, you will be able to pick up just one hour worth of profits. There’s a way to elongate the off-game production by getting more water tanks. They are placed below the Tomato Research Center and you should get the extra one as soon as you start playing Super Idle Cats. The good thing is that, once you get the second water tank, your farm will continue producing for two hours after you exit the game. The bad news is that, in order to get additional water tanks, you have to pay real money. The Pro license allowing players to get up to 10 water tanks – thus allowing for the farm to produce goods up to 10 hours while you are not playing Super Idle Cats – is around $5 so it is up to you to decide is it worth it. Crystals are the premium currency in Super Idle Cats and they allow players to get all sorts of bonuses. Unlike in most other free-to-play games, you can earn quite a lot of crystals by simply playing the game but that doesn’t mean you should spend them on unimportant stuff. It is best to spend crystals on Epic Cards, bonuses that are permanent and that give lots of cool upgrades. But, not all Epic Cards are worth spending your hard earned crystals on. The best Epic Cards are those that improve crop yield while you touch a crop (and remove the need to constantly tap crops in order to speed up production) called Divine Touch; there’s also Ball of Wool that improves production rate (and profits) while you are away, and Mitten of Infinity that gives a one percent bonus to each and every Seed of Infinity you have. There are a couple of boosters worth investing in such as Time Machine that advances time by 10 hours and Big Ugly Birds that sends hundreds of crows flying your way. Those black nasty crows that are flying all over your farm carry precious money and they are definitely worth catching! Just tap on them when you spot them and they will give you a generous amount of money that will improve your earnings. And while crows are carrying a modest amount of money those cute golden birds are always worth catching because they carry loads of money and even crystals. Always keep an eye on them because they are your main source of income. You see, they usually carry around 1,000 times the amount of money your farm generate per one second, often much more than that. This means that watching for golden birds is way more profitable than tapping on your crops. Sometimes they are your only way to unlock the next, more expensive crop type while not waiting days to earn that amount of money by growing crops. Once you Prestige you get Infinity Seeds and they massively boost your profits. The downside is that your farm will have to start from scratch. And by that, we don’t mean you will simply start over growing the last crop that grew on your farm. No, you will start literally from scratch, growing the cheapest and most basic fruit type. But that’s okay because Infinity Seeds boost profit by a huger margin allowing you to relatively quick return to the fruit type you grew before performing Prestige. You should Prestige for the first time once the game notifies you about it. The second Prestige should be once you earn enough money to unlock the banana farm. This will give you around 1,200 Infinity Seeds allowing you to quickly advance through crops and soon you will have huge profits. And the third Prestige should happen once you earn enough Infinity Seeds to double your Seed stash. The fourth Prestige is reserved for the time when you unlock coconut because that will give you 100K Seeds, and that’s quite a lot. Also, after you perform Prestige don’t unlock fruits one at a time. Skip a couple because that way your farm will faster reach the level you had before performing Prestige. Okay, folks, that’s all for now as far as Super Idle Cats is concerned. We hope this strategy guide will help you to become a dominant force in the game, allowing you to build a cat fruit farm of your dreams. Thanks for reading and happy gaming!